Paros is so fascinating on so many levels that many people love it having seen only one of its faces. Don't jump to conclusions about what you like, get to know the island first and find your "own" Paros, the face that suits you best. No doubt, though, it will charm you even if you see a different side from the one expected. 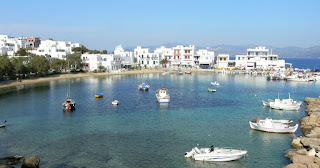 The island of Paros is famous for its golden beaches, clear blue waters and nightlife. However, it has much more than that to offer visitors, who will see a different island, offering many alternatives: its rich natural resources, the fascinating cultural heritage, the unique customs, the original traditional dishes and the famous wine, are some of the island's secrets that make visitors return. It is one of the largest and most fertile islands of the Cyclades with valleys, plains and farmlands, and covers an area of 186km2. 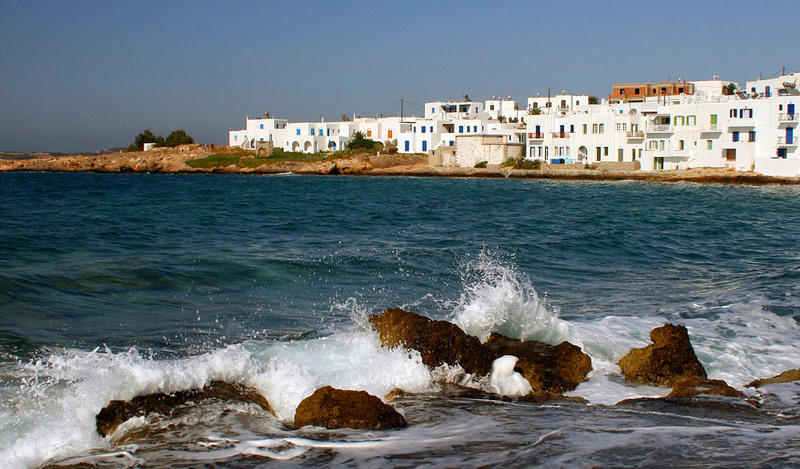 It was named after Paros, the leader of the Arcadians that settled on the island. In ancient times, Paros was one of the most important centres of the Cycladic civilization, and renown for the quality of its marble. Parikia: The port and capital of the island, and an area of exceptional religious, archaeological and cultural interest. In Parikiaone can see the famous church of Panagia Ekantotapyliani (4th century), a magnificent monument to Christianity and one of the most important Early Christian monuments of Greece. Lefkes village: One of the most beautiful and unspoiled of all the Greek islands, it is the only mountain settlement in Paros. Picturesque, calm, amphitheatrically built among lush greenery, it preserves its traditional character intact. Cycladic and neoclassical houses, an imposing temple at the top, oil presses and mills. No motor vehicles are allowed. From there, you can also follow the byzantine marble path that leads to the medieval village of Prodromos (one hour walk). Paros’ ancient highlights: These include the 8th century cemetery near Parikia port, the Dilion (ruins of a 5th c. temple of Delian Apollo) and the Asklipiion (relics of a 4th c. sanctuary dedicated to Asclepius, god of medicine). Valley of the Butterflies (gr. Petaloudes) Smaller than the famous one in Rhodes, this lush green habitat is a shelter for Tiger moth butterflies, open to visitors. Ancient Marble Quarries Located near Marathi village, this site is literally a history walk in the place where the famous parian marble was extracted from ancient times until the 19th century. The marble was the cornerstone of Paros’ economy for all of this time and also the prime material for many of the most important works of architecture and sculpture in classical Greece. 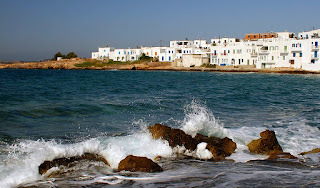 Paros saves many gourmet surprises for the visitor: karavoli (escargot garlic pat), rafiolia (small fried pies with skimmed-milk cheese), sea urchin salad, gouna (sun-dried salt fish), roast stuffed fish, octopus croquettes, herring salad, ladosoupa (soup with pasta), kolitsano keftedes (seafood croquettes), amanita keftedes (mushroom croquettes), hortofous kotes (pies with wild greens), bean pie, garlic bulb patt. Paros is famous for its cheeses, and for its wonderful wines (labeled PDO=Protected Designation of Origin) wine from the select varieties mandilaria and monemvasia. Sweet flavours are dominated by macaroons, samota figs, petimezo pita (molasses pie), and skaltsounia pastries. You can also try “souma” (the local type of Greek alcohol drink tsipouro). Visitors can take part in the grape harvest, the crushing of grapes and rakidl (production of raki) and the accompanying festivities. Don't miss the chance to dance at one of the several feasts organized on the island which culminate in the feast for Panagia Ekatontapyliani in Parikia in August. A fish celebration takes place in Naousa on the first Sunday of July. A great feast celebrating Sotiras (the Saviour) is organized on 6 August in Alykiand Marpissa. Pirate evenings are organised in Naousa on 23 August; on 28 and 29 August, people celebrate Ai Giannis in Naousa and Lefkes. The custom which takes place on 3 November is a reference to Bacchic feasts, in a celebration dedicated to Ai Giorgis Methystis (the Inebriator), an inauguration for the local wines. The representation of the Passions seen in Marpissa, Marmara, Prodromos, Lefkes and Aspro Horlo is unique. 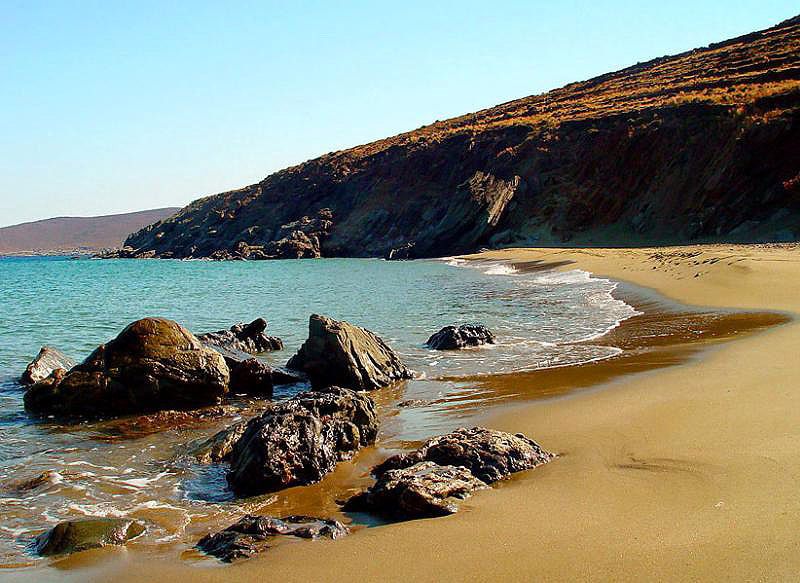 Paros offers quality facilities to practice windsurfing, kite surfing, diving, horse riding and trekking. The island has several diving schools (the beaches Chrysi Akti, Santa Maria, and Pounta are ideal for diving). Pounta is the best beach for kite surfing, while the favourite beaches for windsurfing are Tserdakia, ChrysiAkti, Santa Maria and Pounta. The island also has surfing clubs. 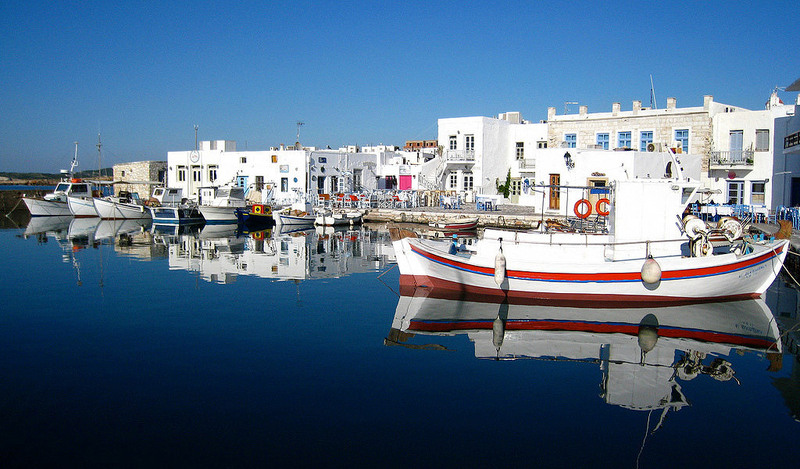 Amateur fishermen will find ideal spots on the coasts of Paros.